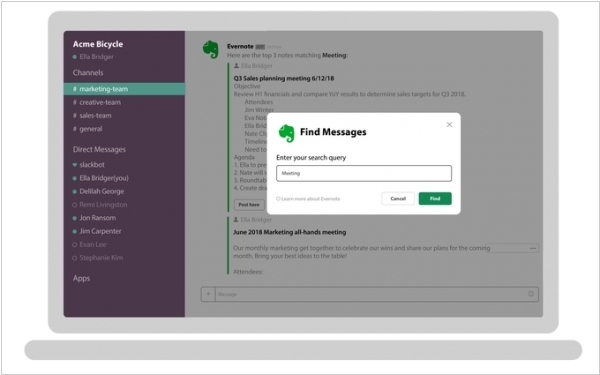 Evernote Business now lets you easier access Evernote content from Slack and Salesforce. 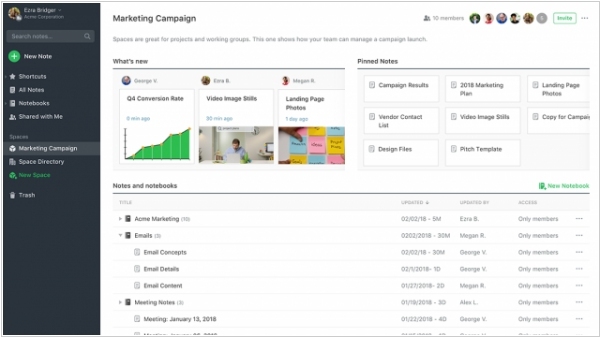 It has taken advantage of new Slack Actions to get away from the command interface style that Slack had previously used and make it easier for their core knowledge workers to access Evernote content inside of Slack. Users can take an Evernote note in Slack, which will then show up in Evernote automatically in a “Notes from Slack” folder. The newer Salesforce integration improves the technical connections between the two cloud applications including the ability to “pin” a note to a record. What’s more, once a note is linked there is two-way sync, which means regardless of whether you change that note in Salesforce or Evernote, it will update in both places (because the integration is a live version of Evernote). Evernote built a new integration with the highly popular messaging app Slack. Evernote is where you keep all your ideas, and Slack connects your ideas to other people. By removing the friction between these two tools, you can now spend less time searching and more time doing. By using the /note command in Slack you can jot down your notes, create a to-do list or a reminder—all without leaving the conversation. Or you can use the /clip command to capture messages from Slack and save them (based on date, importance, or URL) as a note in Evernote. With the /find command you can now search for the specific note you need and share a snapshot with the team without leaving Slack. 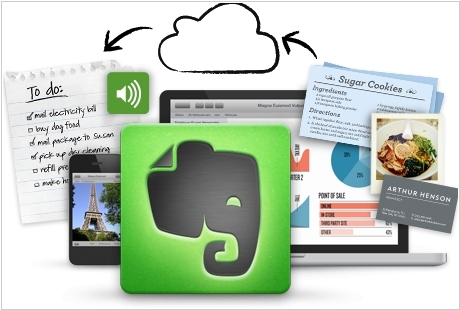 Note-taking app Evernote introduced new pricing policy. The Basic plan remains free, but is now limited to only two devices. That might be sufficient for the average user — Evernote likely wouldn’t deliberately rankle a majority of their free users — but it’s still a considerable limitation. The addition of the passcode lock feature to Basic helps soften the blow, though. Plus, which was $3 per month, now costs $4 (or $35 per year), while Premium went from $6 to $8 per month, or $70 per year. You get 1GB and 10GB, respectively, in those plans, and the specifics of what’s offered (too much to list here) can be found at the Evernote site. 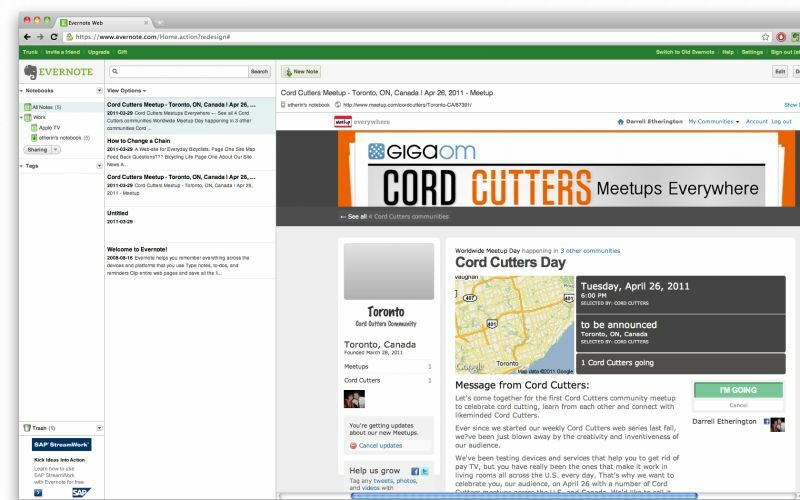 Evernote has unveiled a major update of its desktop client for Windows users. The new release provides another user interface revamp and some new features. Notebooks and tags can now be directly accessed, created and deleted from the left-hand pane, which can be minimized to free up screen real-estate elsewhere. Users also gain the ability to define notebooks and tags by color (right-click to do this) for easier identification in the left-hand pane. Business account users now see their personal and business notes visually separated out, with the ability to choose what’s displayed. Mixed note lists have been dropped. Keyboard shortcuts make it quick and easy to toggle between personal and business mode. The new version also comes with the promise of increased stability and performance - search in particularly runs much quicker.